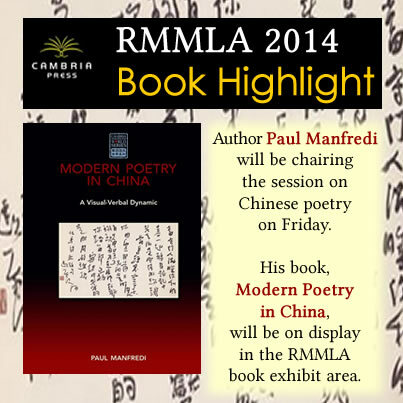 Modern Poetry in China by Paul Manfredi will be on display in the 2014 RMMLA book exhibit this week. 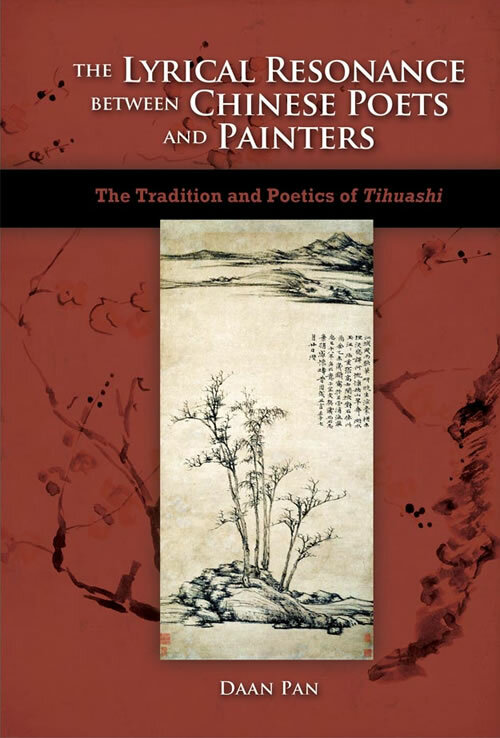 Dr. Manfredi (professor of Chinese studies at Pacific Lutheran University) will be chairing the RMMLA session on Chinese poetry this Friday. 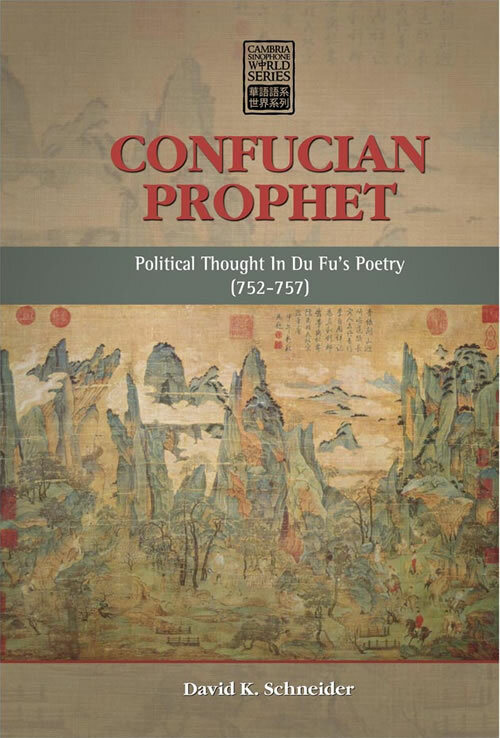 Watch Dr. Manfredi’s discussion of his book and check out his China Avant Garde blog. This book is part of the Cambria Sinophone World Series headed by Victor H. Mair, who will be the keynote speaker for the RMMLA. Be sure to get the flier with the special 30% RMMLA discount on all titles. Stay posted! 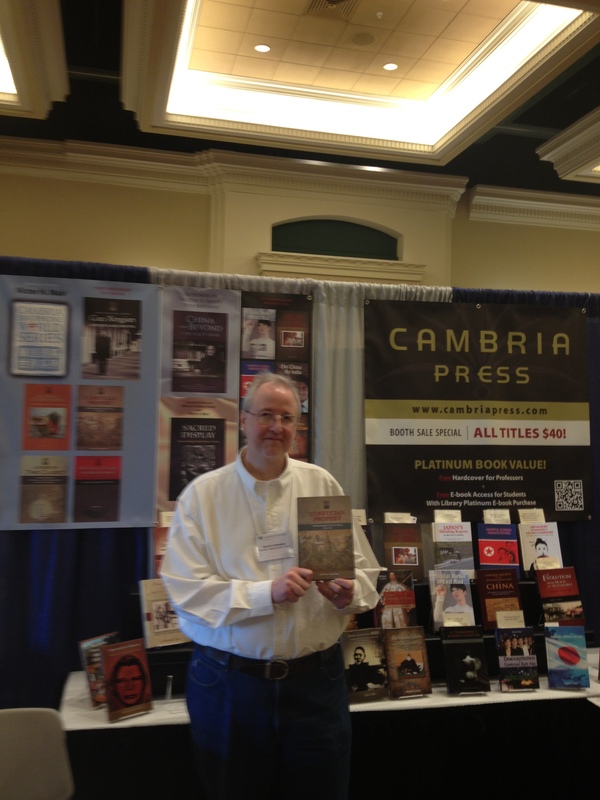 LIKE Cambria Press on Facebook, followCambria Press on Twitter, and share this news from Cambria Press on Google+!